Oh man, so much studying. 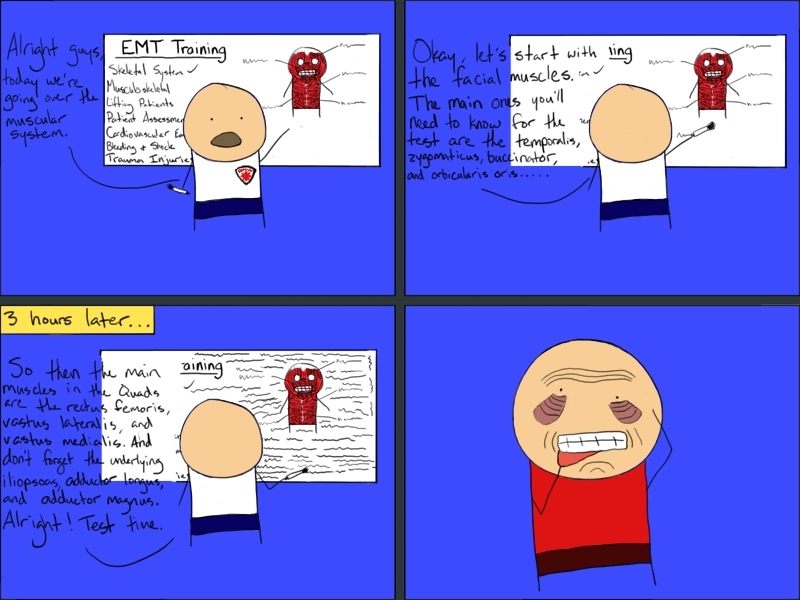 EMT class is hard. But I know a lot of pretty cool stuff now so I guess it's worth it. Edit: Oh and it is for this reason that I think I'm only going to update on Sunday until the class is over (mid-october).